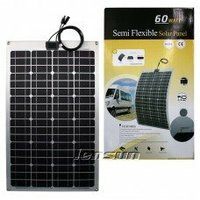 Dimensions: 22.40" x 35.60" x 0.01"
Flexible solar panels are portable and easy-to-use while producing the solar energy you need. 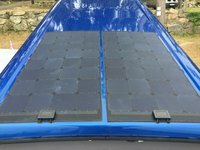 Can be installed and used with your electric car, camper, food truck, boat, yacht, delivery vehicle or street food cart. 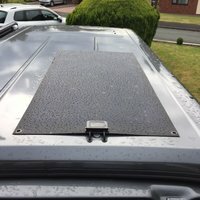 Great for use while traveling. Portable, thin and flexible solar panels are lightweight and incredibly durable solutions for non-traditional solar panel needs, such as powering your electric bike, electric moped, e-scooter, radio, laptop, smartphone, travel refrigerator, DJ equipment, Bounce House, event and /or on site construction equipment. 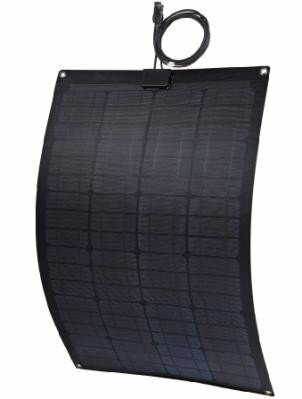 Not Included: This panel requires a solar charge regulator / controller to protect against overcharge and discharge. 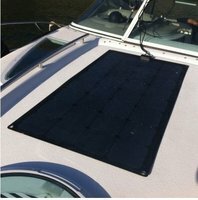 This is necessary for the solar panel to function.